Every lamp has a unique story, often explaining its current condition, colour and appearance. Sometimes told and celebrated stories emerge, invariably untold, unexplained or simply unknown stories epitomise many of the lamps I restore. This conjures imaginative circumstances, potentially unravelling the mystery and peculiarities explaining the unknown story of a lamps past adventures, lifecycle or owner, whilst shedding light on its current situation. These irregularities and patina are what I strive to nurture during the patient process of restoration. I specialise in conserving the precious heritage and originality of each lamp by restoring and preserving its original parts for years to come and future generations to use and adore. My experience encompasses a wide selection of industrial lamps, so whether a minor repair or complete restoration is required, I can provide a bespoke lamp service, which aims to surpass client expectations on each project. A lamp’s irreplaceable history requires integrity, technical knowledge and attention to detail whilst repairing or restoring. Each project exemplifies my passion, creativity, craftsmanship, and ability to produce work of the highest standard, to truly celebrate the timeless beauty of Anglepoise lamps. I employ equivalent techniques for all varieties of industrial lighting. In such rare cases when repairs are not possible I always endeavour to procure reconditioned original parts or quality remanufactured parts . I have commissioned a limited selection of remanufactured Anglepoise parts using engineering grade stainless steel, improving on traditional techniques of manufacture to maintain durability whilst ensuring longevity for individual fabricated components. So whether your lamp is a treasured item requiring restoration, a gift or present for a friend, I offer a bespoke service providing every client with a result they will cherish and a lamp they will adore. Primarily via email and word of mouth, the client brief kick starts a project. Client specifications are fully discussed allowing the preparation of a bespoke lamp quote itemising costs and work involved. All fee quotes require client confirmation and agreement in writing before a project can commence. A1. Upon successful client briefing and specification, I initiate the project by firstly acquiring the lamp; either directly from the customers possession or procuring the lamp required for restoration. 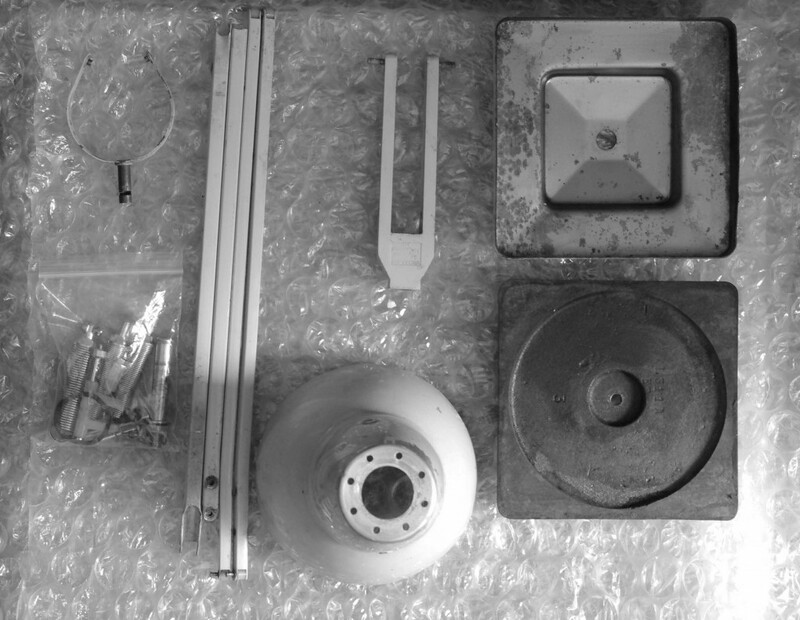 I initially check the lamp to ascertain damage and missing parts required then disassemble all components for cleaning. A2. Every part is cleaned as per client specifications (this may include paint stripping prior to polishing). If a polished finished is desired, all parts are stripped by hand of dirt, grease and paint then sanded (by hand) to achieve a flat, smooth brushed finished. Finally, metal polish is applied to individual components and buffed to a high shine; each part is polished numerous times to maintain a consistent finish. A3. Rebuilding begins once every component is polished, brush finished or painted. Assembly requires rigorous technical accuracy ensuring all parts join seamlessly without damaging the appearance. The lamp is then rewired using client specified cable and tested for safety. It is advised all lamps obtain PAT testing to certify safety standards, this requires an external company to undertake such work – this additional cost is discussed before starting a project. A4. Finally after the rebuilt, rewired lamp is complete I recheck individual components, adjusting where necessary to ensure free movement across joints. Local delivery can be arranged within central London, otherwise lamps are sent via recorded couriers. Please see PROJECTS for a selection of projects completed for private clients over the past few years.